When you are on the hunt for a three-row SUV with seating for the whole family, you are going to be confronted with a lot of options. 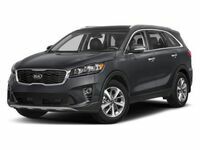 You should be considering the 2019 Kia Sorento and we can show you why by comparing it to some of its strongest competitors. See what we mean with our 2019 Kia Sorento vs 2019 Toyota Highlander comparison. We will look at price, efficiency, capability, features, and more to determine which three-row SUV is right for you. Keep reading if you want to learn more. If you are already leaning toward the Sorento though, and you live in the Puyallup area, then you should take a look at the new Sorento inventory we have here at Kia of Puyallup. Click the link below and see what we have in stock. Which three-row SUV is better: Sorento or Highlander? When you’re looking at a new vehicle, price is typically the first factor you should consider. In the Toyota lineup, you can’t get a three-row SUV for under $30,000 MSRP, but that is not the case in the Kia lineup. In fact, the first two Sorento trims are both under $30,000 MSRP. This makes them a good value right from the start. Continuing with their good value proposition, the Sorento is more efficient so it can continue to save you money out on the road. Not to mention, the Kia Sorento comes with a 10-year or 100,000-mile powertrain warranty. You won’t find that on the Highlander which only provides a 5-year or 60,000-mile powertrain warranty. When it comes to capability, the Sorento once again impresses with more standard towing capability than the Highlander. What’s more, on higher V6-equipped trims of the Sorento, that capacity grows to 5,000 pounds. What you can bring on the inside is just as important as what you can bring with you on the outside. Kia knows this, and that’s why they provide 154 cubic-feet of room for passengers. The Toyota Highlander only provides up to 145 cubic-feet of passenger room by comparison. For features, the Sorento will give you everything you need. It has available features like adaptive cruise control, forward collision avoidance, lane keeping assist, and more. It also includes both Apple CarPlay and Android Auto standard. Both of which you will not find on any 2019 Highlander.